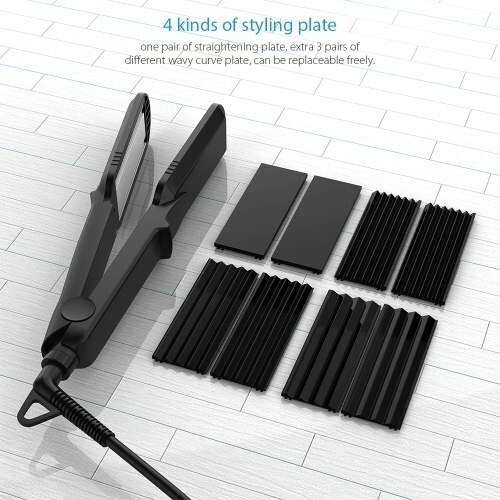 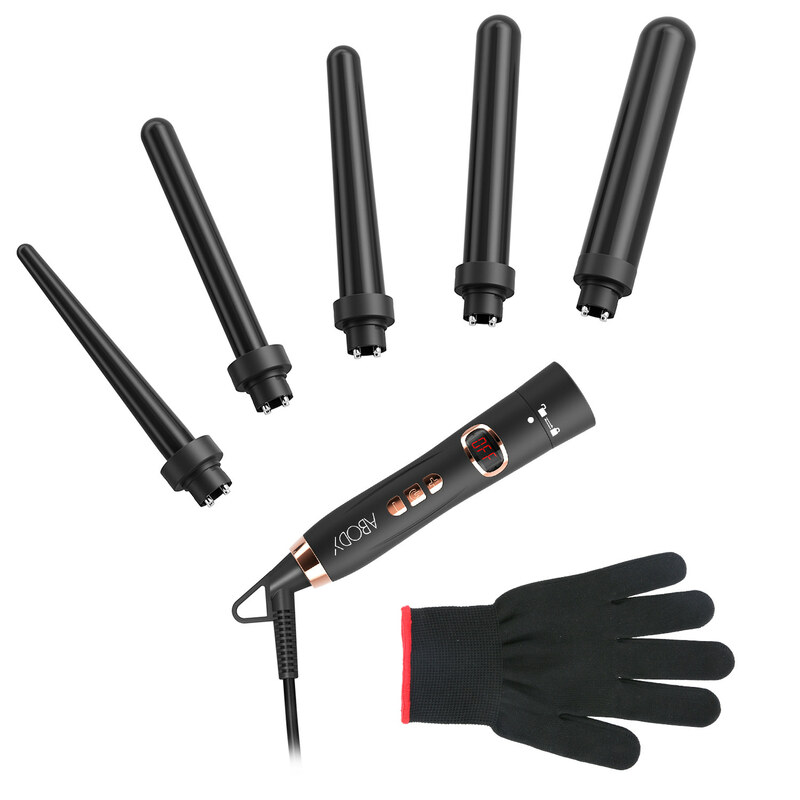 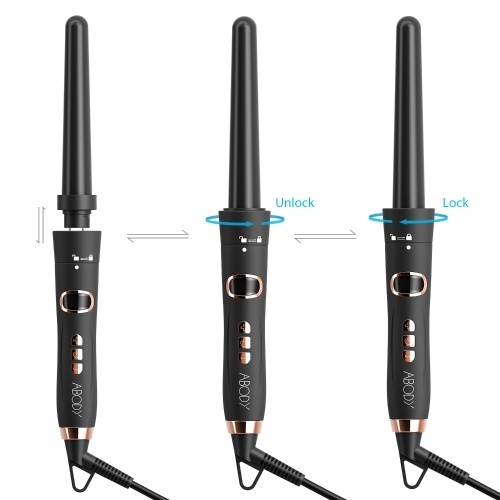 【5-IN-1 CURLING TONG】：The wand curling iron set has 5 different interchangeable curling iron barrels and sizes to provide multiple choices. 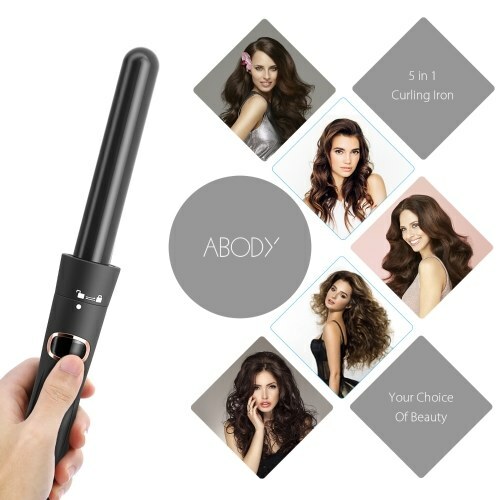 With one tool, you can choose beachy waves or loose curls. 【INTERCHANGEABLE CERAMIC BARRELS】: The sizes of the curling wand barrels are 0.35-0.71 inch, 0.75-0.75 inch, 0.75-1 inch, 1-1 inch, 1.25-1.25 inch. Professional tourmaline ceramic technology help to seal moisture into your hair and protects each cuticle. 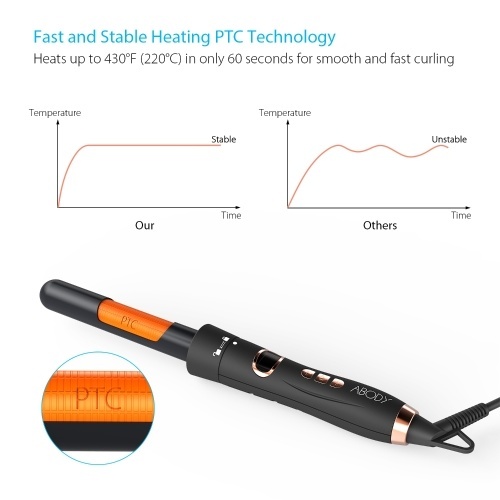 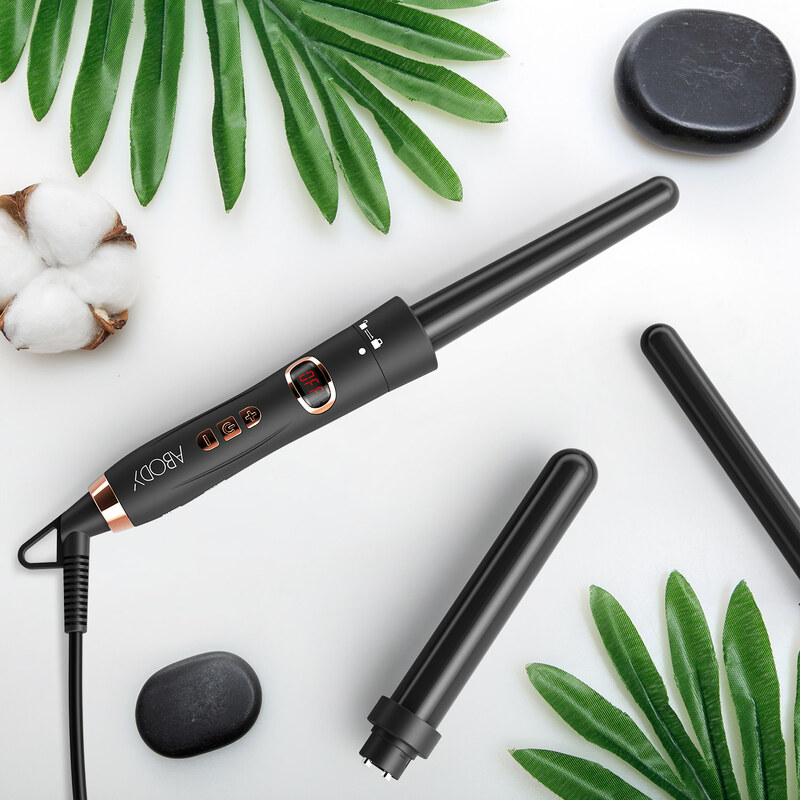 【INSTANT HEATS UP】: With PTC (Positive Temperature Coefficient) heat technology, the professional hair curler heats up instantly and fast. 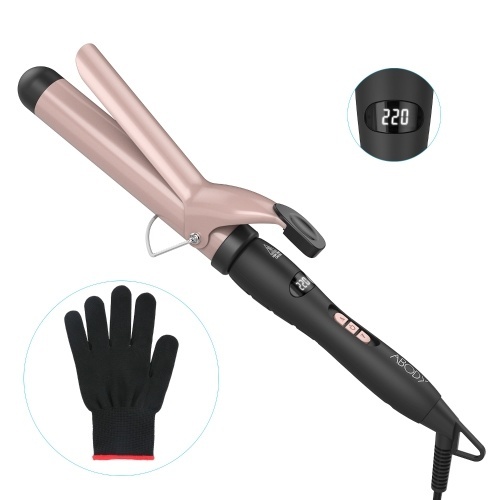 The LCD screen shows the adjustable temperature is between 175 - 430℉ (80-220℃). 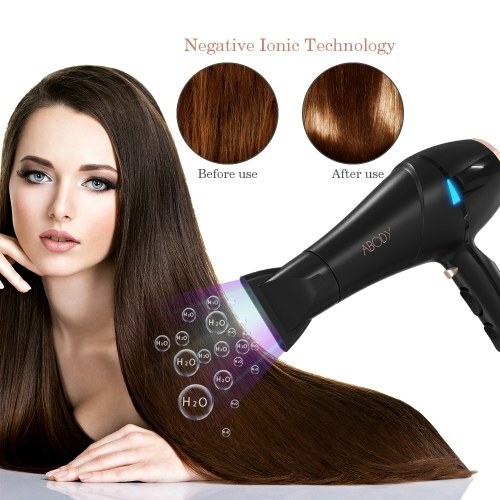 【AUTO SHUTDOWN & DUAL VOLTAGE】: Auto Off after 1 hour, compatible 110V-240V voltage and 360 degree swivel cord that ensure you are able to use it anywhere safely and conveniently. 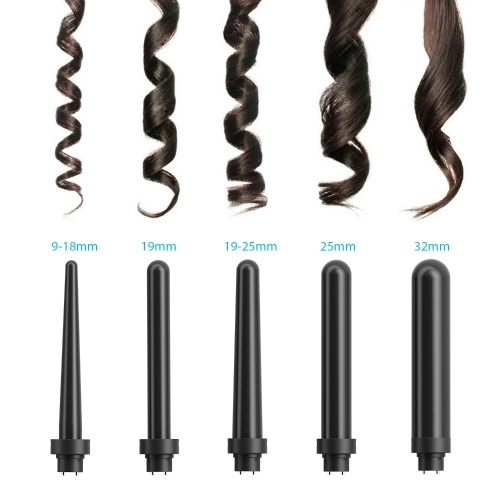 【WARRANTY】: Our tourmaline ceramic curling iron are safe for all hair types and achieve gorgeous results with any hair. 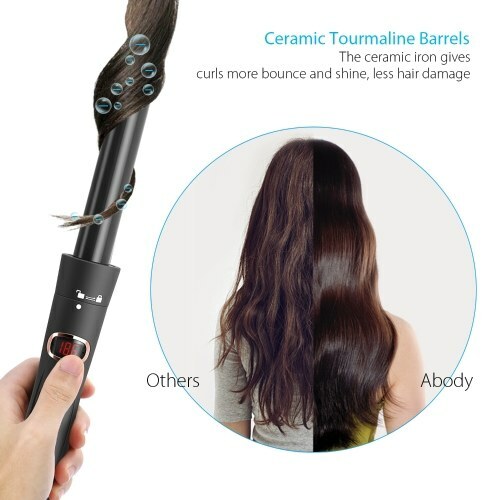 We will provide 6 months warranty. 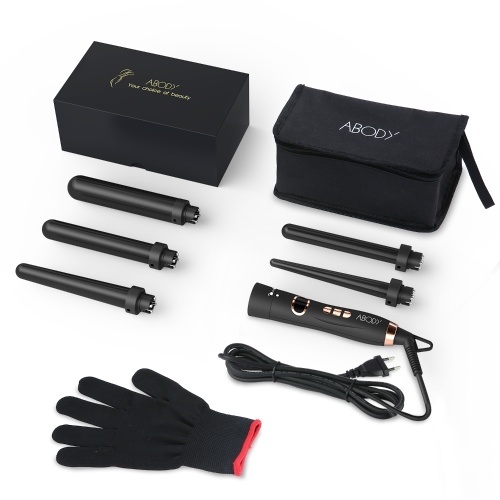 If you have any problem or suggestion, contact us freely.